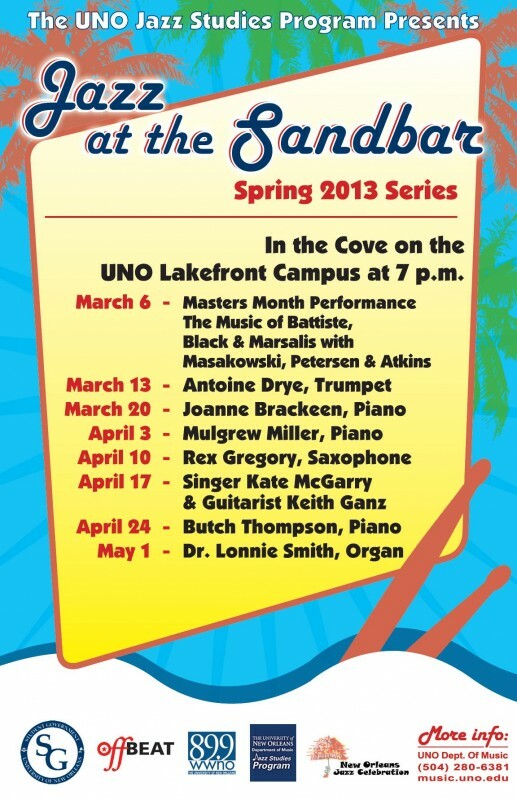 New Orleans Jazz Celebration and the University of New Orleans Jazz Studies program proudly announce the return of the favorite $5 live concert series, “Jazz at The Sandbar,” where each week a new jazz instrument is highlighted and explored through performances from some of the most renowned jazz musicians that command these magic sound tools. This year’s Spring season will feature “The Music of Battiste,” Antoine Drye, Joanne Bracken, Dr. Lonnie Smith and more. 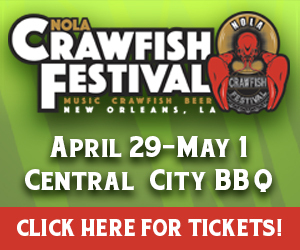 For a complete schedule and artist profiles, please visit the NOJC website.